Variant covers are often used as a way of creating promotional products for events or retailers, the kind of thing that collectors seek out because their love of an item goes beyond its quality as a short book. The convention sphere is a great example of this, where convention exclusive variant covers is a common way to increase premium ticket sales and to make an event something unique. A good exclusive variant cover is often done not of a new comic issue, but perhaps a very old one that has itself such a staple reputation in the comics community. This is why Walking Dead #1 is the perfect comic to create an entire market of variant covers. 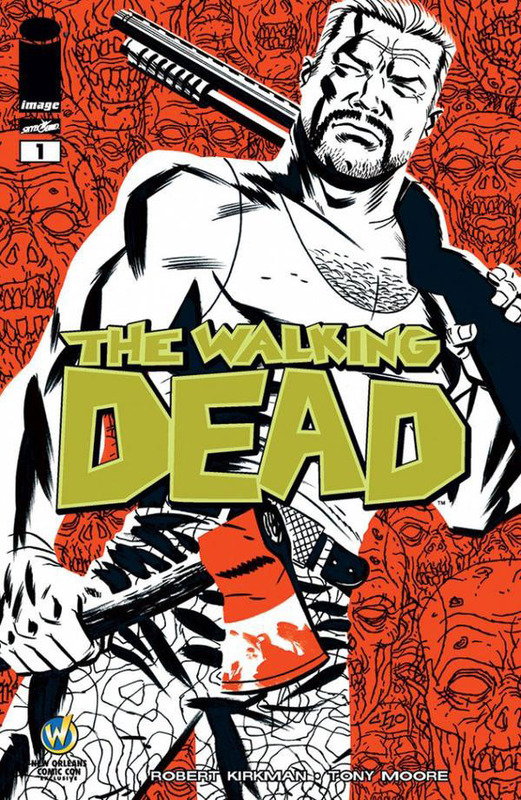 Since its release well over a decade ago, Walking Dead has redefined independent comics by being one of the few in the non-caped crowd that can actually compete, in terms of sales numbers, with the big two. Conventions and retailers have fought to get the first issue of Walking Dead with a unique variant cover, something that people fight over because each stand-out display of zombie horror will be both fun and valuable. This is why there continues to be new covers released for this first issues, even as recently as a few months ago. We have worked to compile a complete list of the Walking Dead #1 variant covers, though with the huge number that have been released this can be an incredible challenge. This is as complete of a list as has ever been compiled, but it is only relevant up to late May, 2015. We will have to continue to add to it as variant covers continue to be released as a promotion for the comic and its various offshoots. Each issue is listed with its name and artist, as best we could identify.